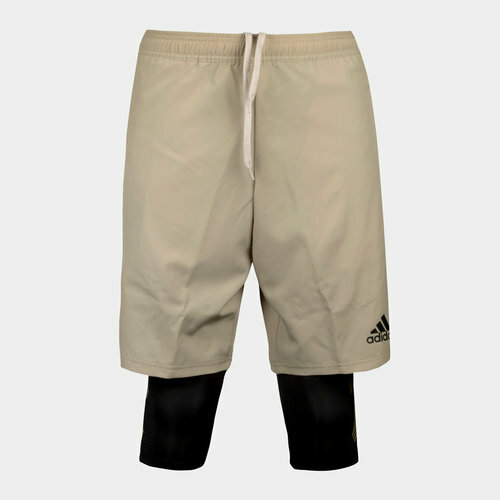 Inspired by street footie with a modern touch, stay comfortable and agile when you train with the Tango 2 In 1 Training Shorts from adidas in Raw Gold. A unique combination of a woven outer with the stretchy, lightweight inner shorts keep the wearer covered, comfortable and competitive. The combined waistband helps ensure these shorts are as comfortable as possible during anything from sprint training, squats or just kicking the ball around with friends.